* Like, tweet, post, pin, comment or whatever. Waves are meant to be shared. Surf Photo Friday - Prue Jeffries on a Donald Takayama Quad In my experience it's best to whisper the words "photo shoot" when making plans with a surfer. Speaking the phrase out loud seems to be an open invitation for onshore winds, fog, and extreme tides to join the party. 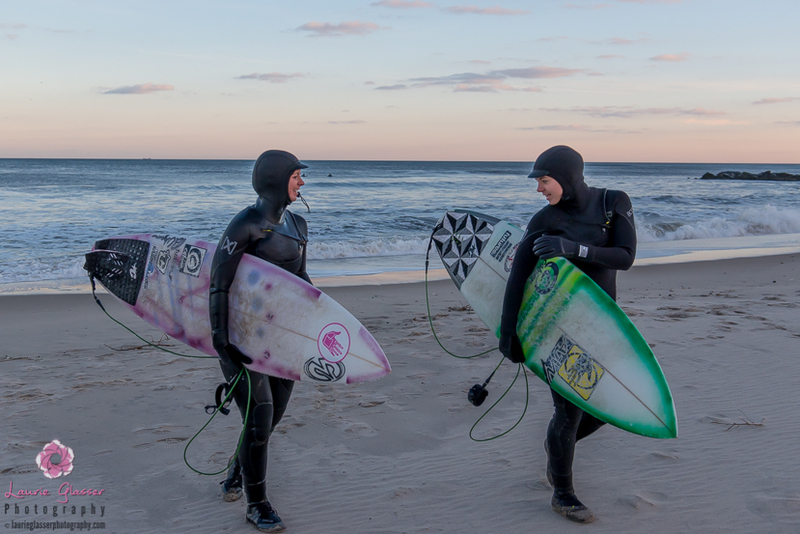 When you roll up to the beach bright and early and discover those unwanted guests have already set up shop, you're faced with two choices---shine it and be bummed all day or go for a surf despite the less-than-optimal conditions. We always opt for the latter. Agreeing to meet at a local beach break in Encinitas, Prue Jeffries and I were greeted with exactly the type of conditions that make you question why you got out of bed. This day would have been a win-win regardless of whether we scored epic waves or not though, because my Australian friend is one of my favorite people in the world. If you're ever lucky enough to strike up a conversation with Prue, you're in for a treat as she's super smart, well-read, and can have a multi-layered discussion on virtually any topic. Of all the surfers I've worked with over the years, meeting up with her has caused me more sunburns than I can count due to our 3-hour, post-surf, parking lot talks. 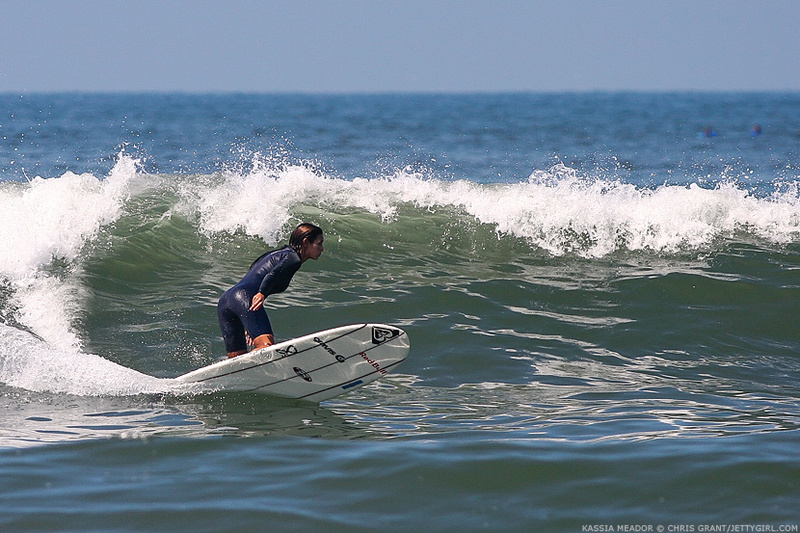 A beautiful soul, an ultra-stylish goofyfoot, and a great friend...who better to showcase on Surf Photo Friday than Prue Jeffries, shown below riding one of her cherished Donald Takayama quads. Thank you for dropping by for another installment of Surf Photo Friday. Have a great weekend everyone ...and as always, thank you for your support of Jettygirl. Every little bit helps. Amee Donohoe – Single Wave Thursday. 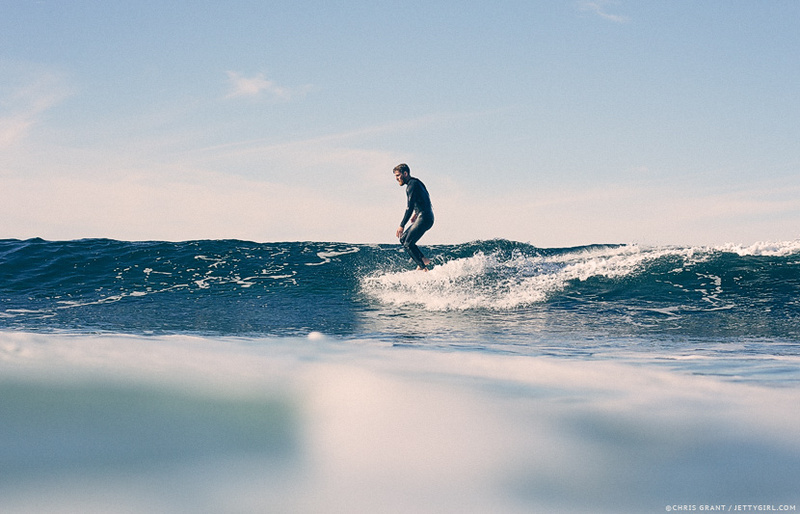 One Ride, No Music, Just Surfing. Surf Photo Friday - Sara Taylor Sequence In my dream I'm walking through a forest that suddenly opens up to a rugged-looking beach. Although it's basically deserted, to my right I notice a big pile of floatable objects ...doors, pieces of wood, an old barrel, and a couple of dinged-up surfboards from the 1980's. On the other side of the pile, I can hear that comforting sound of surf wax being applied to a board. As I move closer to take a look, a girl in a beanie tosses me the bar as she sprints by carrying a freshly waxed upright bass. It's Sara Taylor. Although it could have been the late night chips-and-salsa, I think the dream originated from seeing Sara's Instagram earlier in the day ...tiny drinking fountains, dead squirrels, broken bones, snapped surfboards, turkeys, ancient TV's, and a donkey with a mohawk. 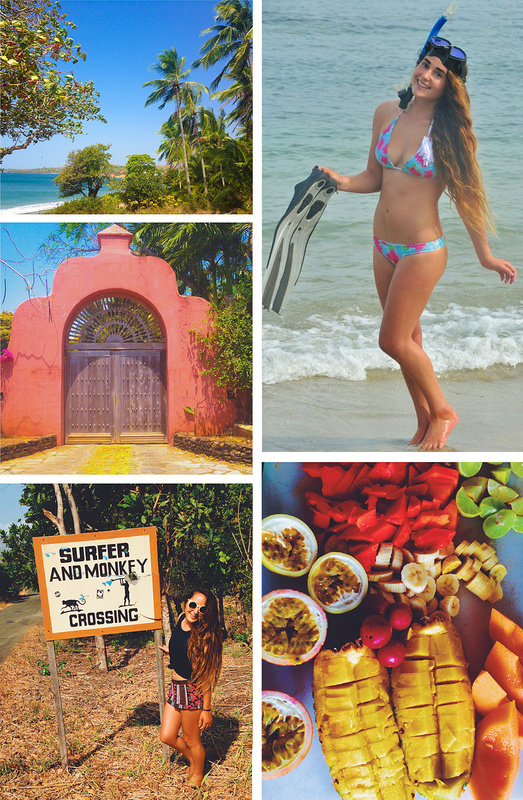 Her eclectic tastes and style walk in perfect lockstep with her creative and electric surfing. If you sketched a surf move on a piece of paper and handed it to her, she could probably make it a reality. I don't get to shoot with her often as she's busy filming surf/skate projects with her core group of underground limit-pushers, but I was really happy that our paths crossed once last summer. For one special hour at my favorite summertime break, Sara lit up the place with fins-free surfing and big lip blasts like the one pictured below. 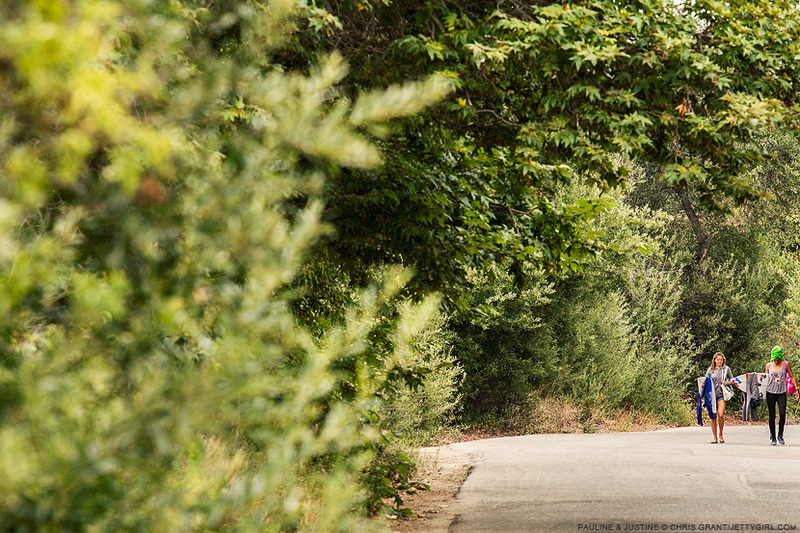 If you ever see her out in the lineup, don't blink when she's up and riding because you might just miss a turn you've never seen before. 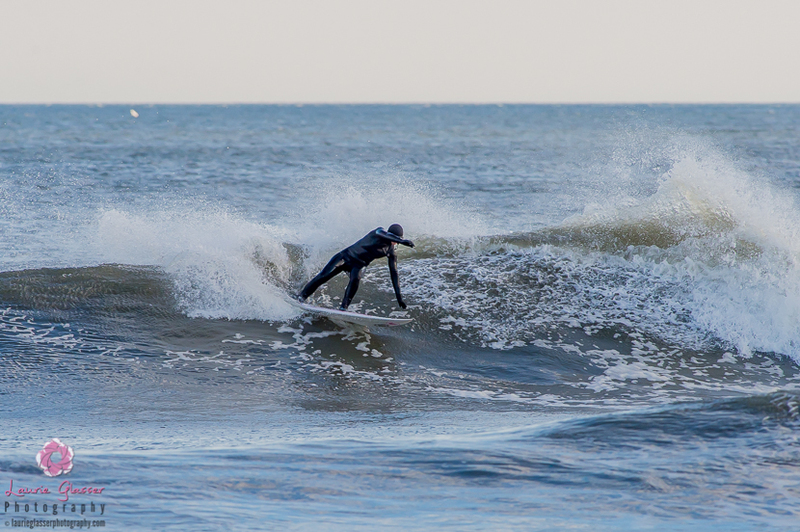 Thank you for dropping by for another installment of Surf Photo Friday. Have a great weekend everyone ...and as always, thank you for your support of Jettygirl. Every little bit helps. 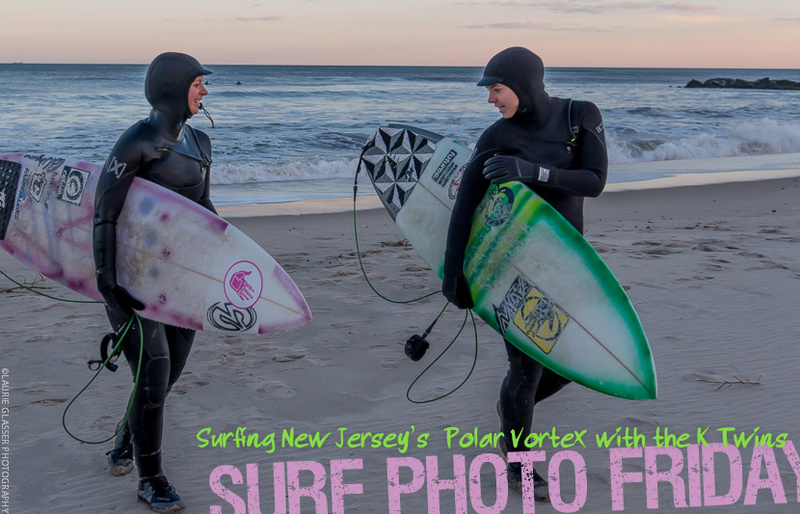 Surf Photo Friday - Get Stoked on Lady Shapers | Words and Photos by Margaret Seelie As a kid, my bedroom in Ohio was plastered with Roxy ads depicting chicks in bikinis shredding on shortboards. 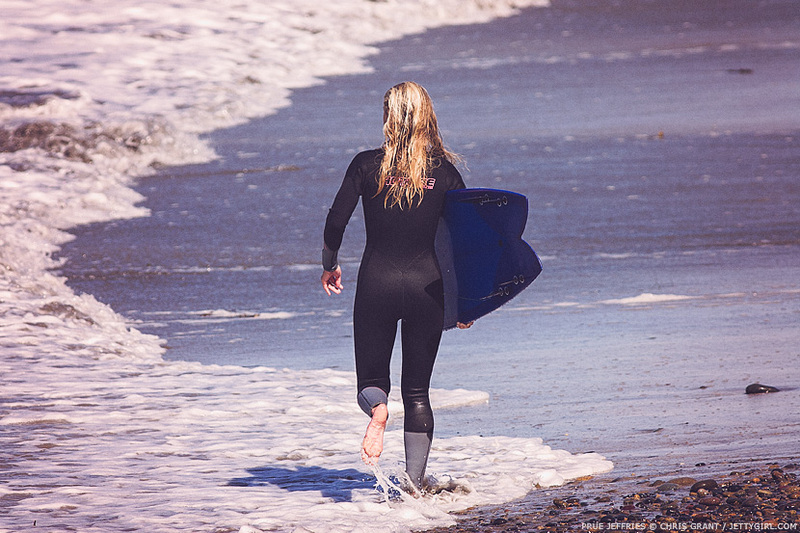 When I arrived on the West Coast in 2009, I was twenty-seven, and ready to start surfing. After wrestling with the Pacific for a few months on a rented foam board, I couldn't fathom how the shortboarders of my youth surfed those tiny boards. 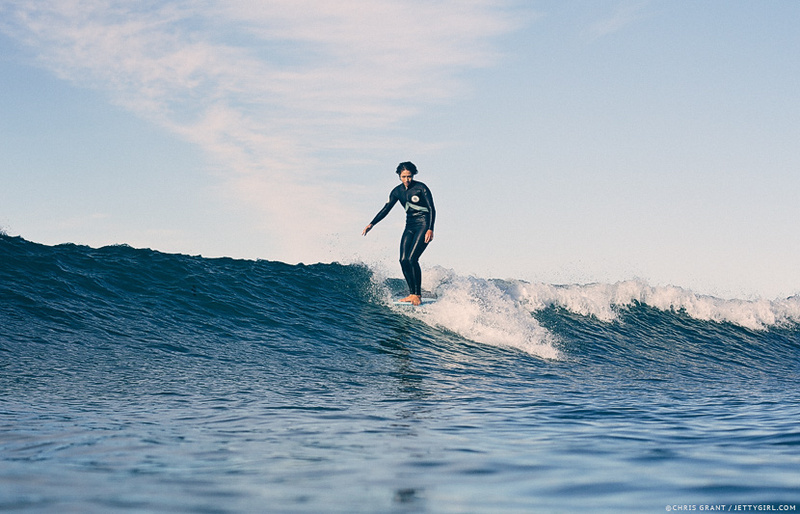 I started watching longboarders finesse across the faces of waist-high waves, and for the first time I knew what kind of surfer I wanted to be. 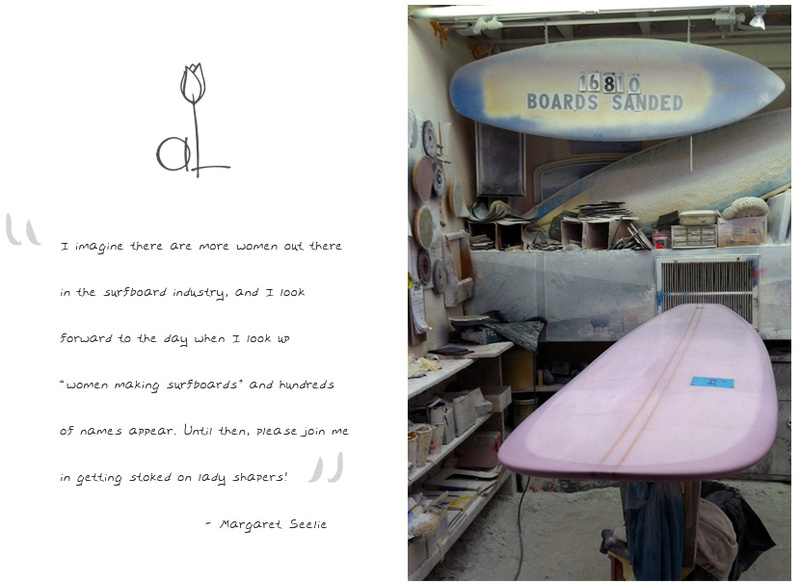 Looping the film Dear & Yonder almost constantly in my apartment in San Francisco I also discovered surfboard shaping. I started checking out boards, finding shapers I liked, and asking surf shops if they carried any boards that were shaped by women. It wasn't until 2013 that I saw one of Ashley Lloyd Thompson's surfboards at Mollusk Surf Shop. Looking up at that towering turquoise board, it was the most immaculate surfboard I had ever seen, and I wanted to know everything about it. A few months later, I had the good fortune of running into Ashley at Pleasure Point in Santa Cruz. She was carrying one of her boards down the beach, and I stopped her to gush about how much I love "Ashley's boards" (not recognizing her). She took my compliments graciously, introduced herself, and invited me to check out her shaping room sometime. Since then, she has been showing me how she shapes, and she introduced me to Tom from Screwball Industries who sometimes lets me watch him glass boards. 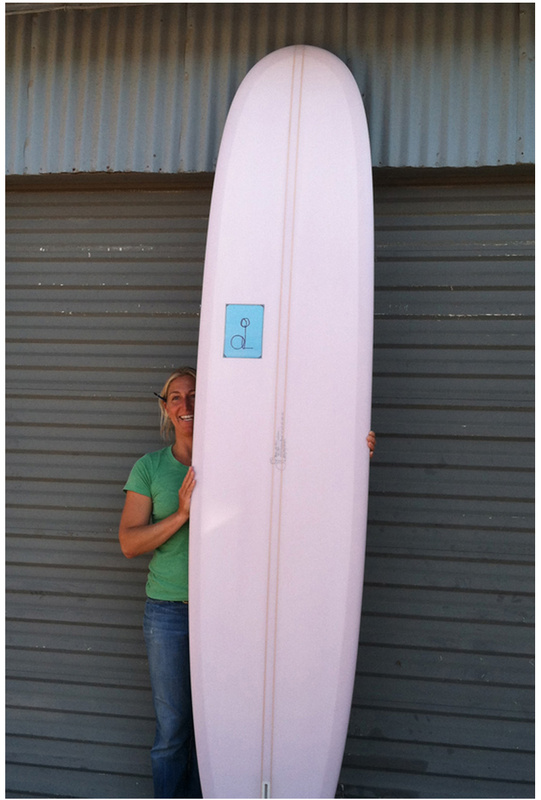 I google "female surfboard shaper" often, which is how I recently found Teena McIlveen, an inspiring glasser in Australia. Teena goes by the moniker, The Lady of Many Colours, because she mixes psychedelic tints into her resins that create awesome tie-dye patterns on the boards she glasses. I imagine there are more women out there in the surfboard industry, and I look forward to the day when I look up "women making surfboards" and hundreds of names appear. 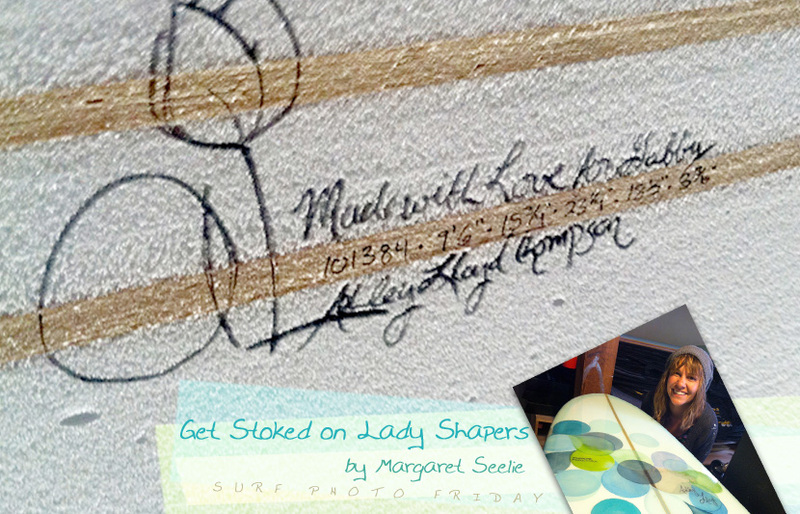 Until then, please join me in getting stoked on lady shapers! 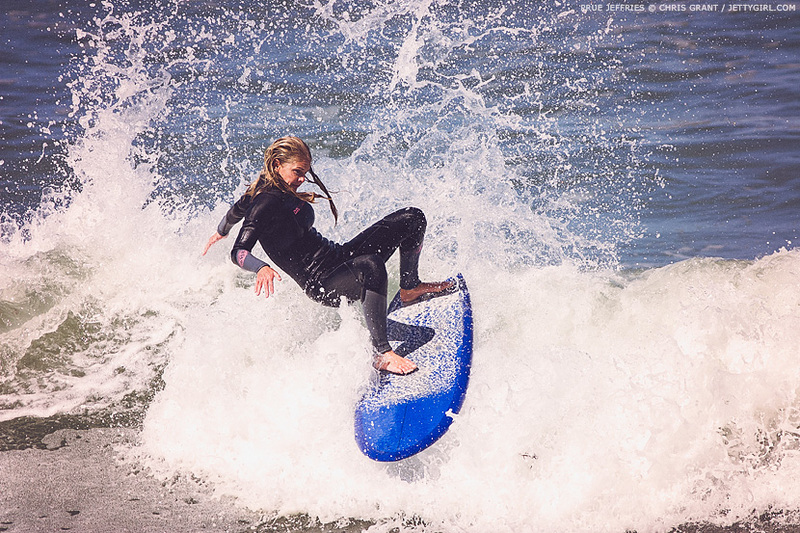 Photos courtesy of Margaret Seelie Thank you for dropping by for another installment of Surf Photo Friday. Have a great weekend everyone ...and as always, thank you for your support of Jettygirl. 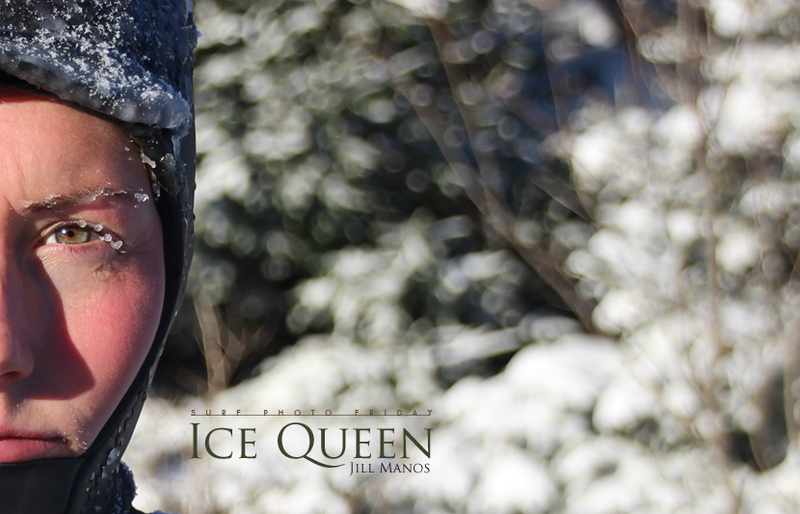 Also, a special thank you to Margaret for allowing us to share her story and photos for this week's feature. Surf Photo Friday - The Session That Changed Everything Truth be told these photos are from two days, July 21 and 22, 2005, yet in my memory they've become one and the same surf session. A month or so earlier I had picked up my first SLR camera since owning an old Canon AE-1 back in high school. A good friend of mine and great surfer in his own rite, Shane Sebastian, met me down at Oceanside Harbor for a quick photo shoot before the wind picked up. Between his waves I noticed an entire crew of female surfers, some I recognized from the magazines, others unknown to me---riding the nose, hitting the lip, and basically dominating the lineup. My friend had long since gone home, but I stayed behind to document every turn I could of quite a diverse group of individuals---Mary Bagalso, Claire Bevilacqua, Crystal "CJ" da Silva, Malia Fuertes, Prue Jeffries, Kyla Langen, Kim Mayer, Kassia Meador, and Summer Romero. In the days following this session, strangers became friends and we met up as often as possible to shoot photos, trade waves, and talk about the state of women's surfing. Later that year both US-based surf magazines, Surf Life for Women and SG Magazine closed their doors at seemingly the same time which came as a horrible blow to the surf community. You can read about it more in depth here, but the magazine closures led directly to the creation of Jettygirl, the very site you're visiting today. 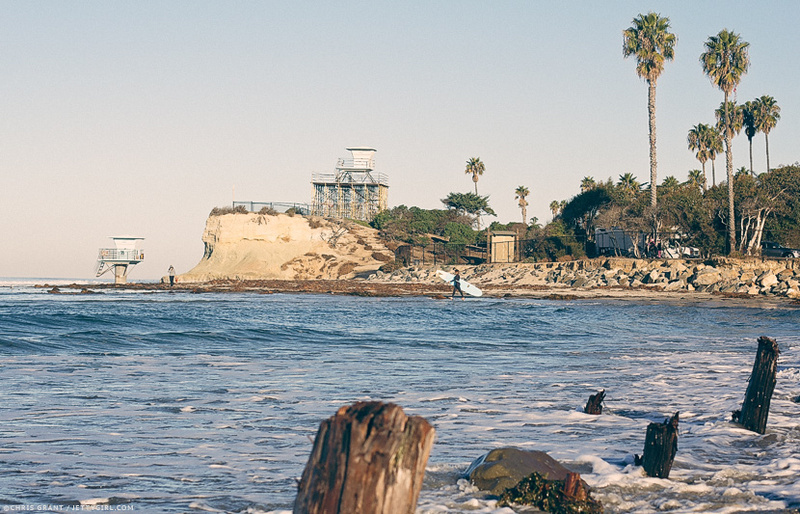 When I'm old and gray and looking out over the lineup at Oceanside Harbor one day, I'll always have great memories of this spot, these surfers, and the session that changed everything. 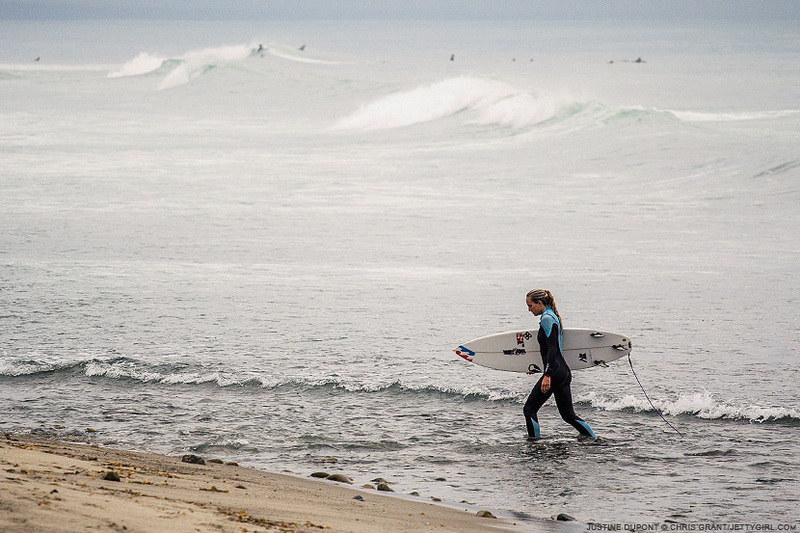 Thank you for dropping by for another installment of Surf Photo Friday. Have a great weekend everyone ...and as always, thank you for your support of Jettygirl. 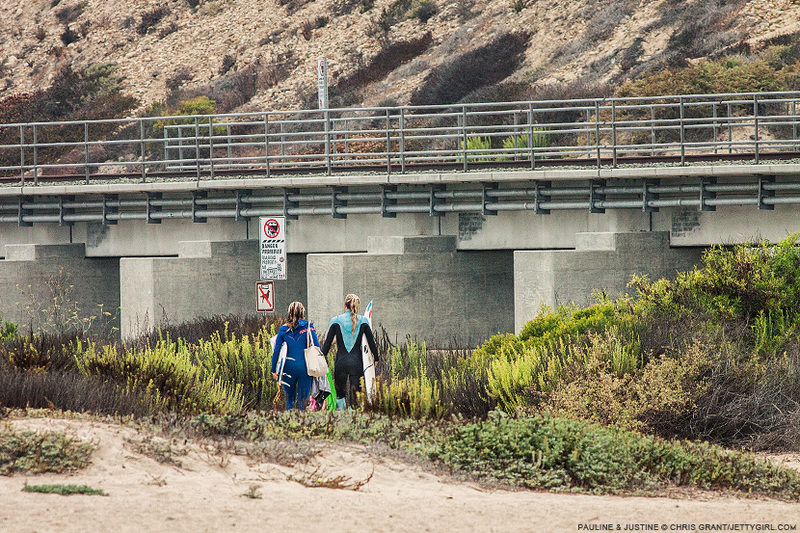 Surf Photo Friday - Justine Dupont and Pauline Ado in California One of our favorite things about surfing is how the love of riding waves brings so many of us together regardless of country, culture or language. 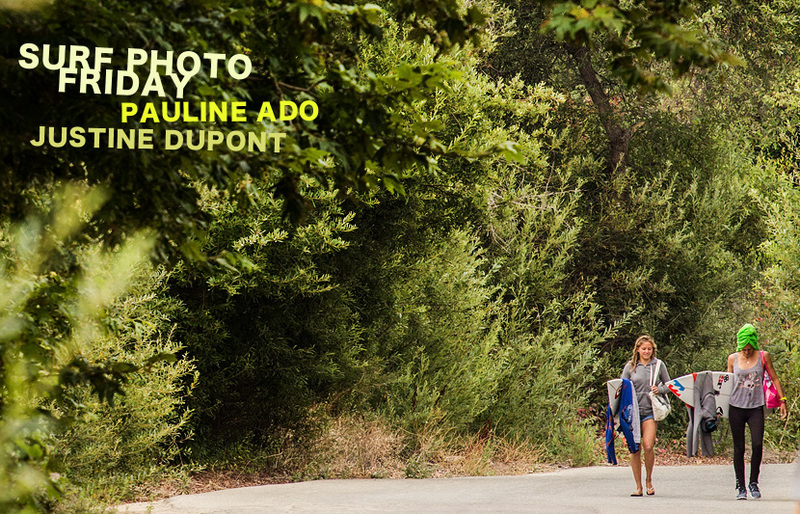 On the last morning that French surfers Justine Dupont and Pauline Ado spent in California, we made plans for a quick session before they jumped on the freeway to catch a flight from LAX later that afternoon. 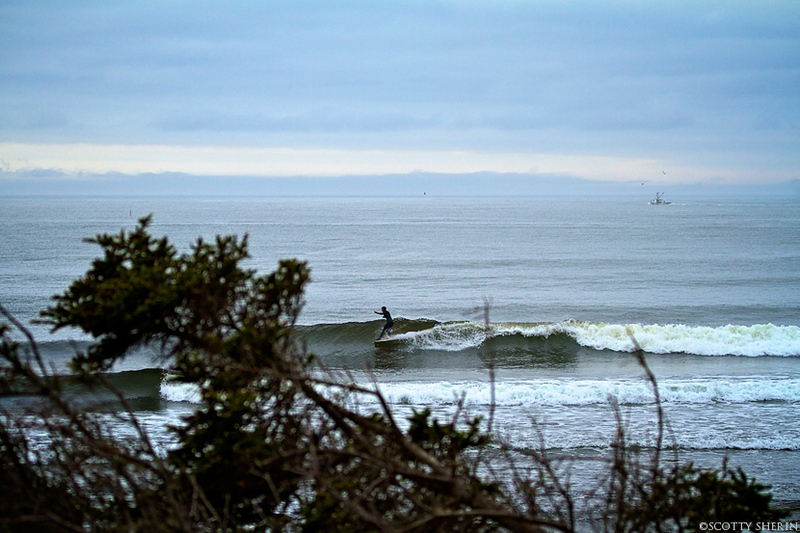 We were greeted by a bit of drizzle and zero sun, but we were also blessed with uncrowded, glassy rights. It was such a pleasure to watch Pauline and Justine's different approaches to the same lineup. 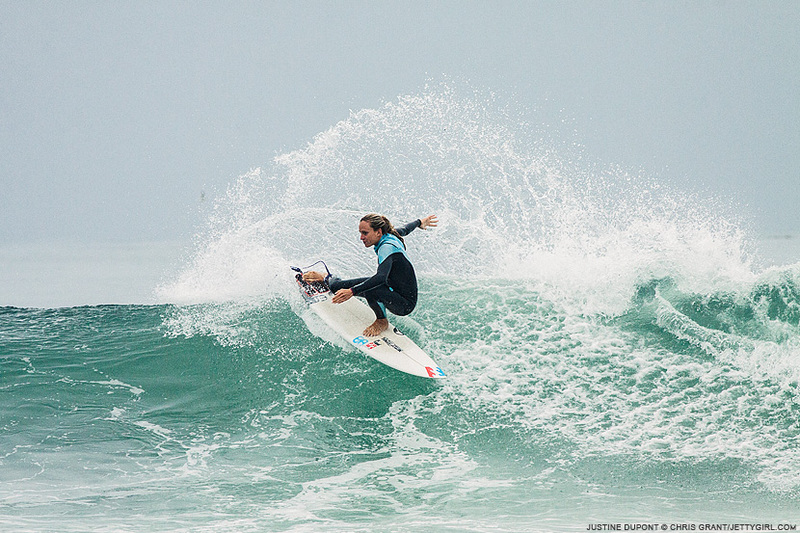 A surf coach could write a "how-to" textbook after watching Pauline surf. 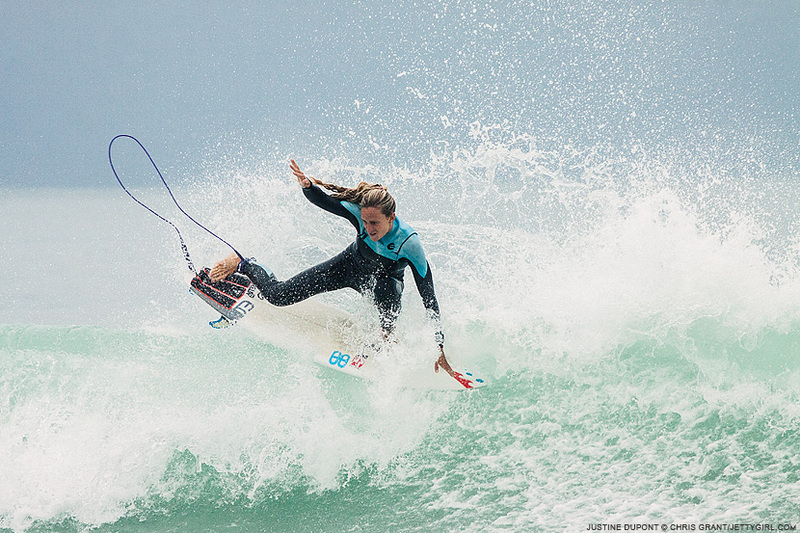 Her combination of speed, power, flow, and clean rail work left no doubt why she continues to be an annual threat on the Women's ASP World Tour. Justine Dupont took the the polar opposite approach. Where Pauline would go top to bottom as the wave lined up, Justine would routinely skip a section or two to build up crazy amounts of speed before launching a big air or fin-throw. 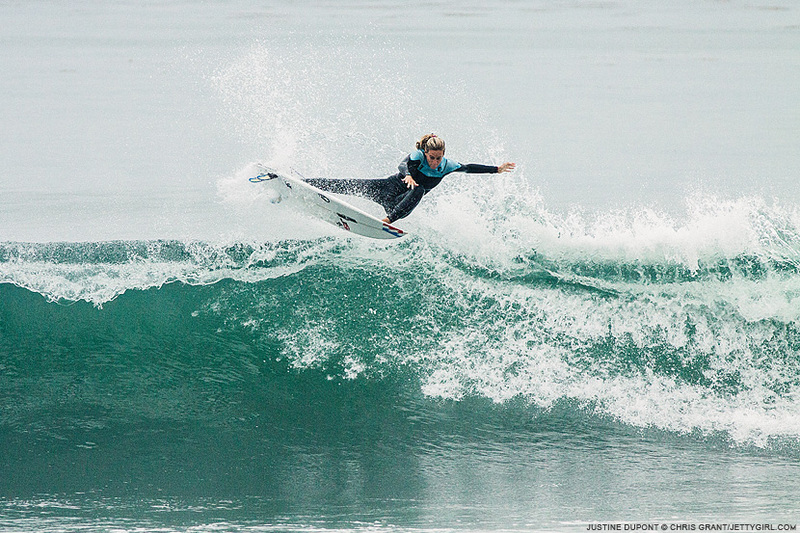 Her surfing is electric and futuristic. After an hour of shredding, the surfers headed up the trail and out of sight ...until next summer when we hope to do it all again. 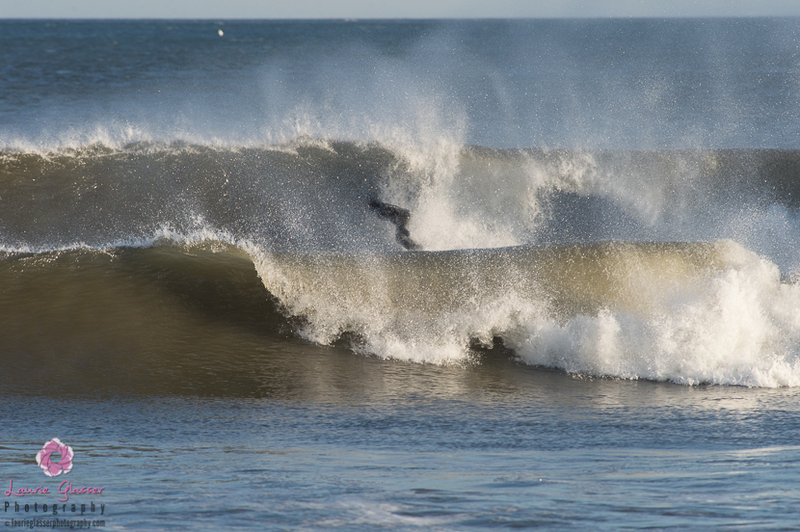 Thank you for dropping by for another installment of Surf Photo Friday. Have a great weekend everyone ...and as always, thank you for your support of Jettygirl. 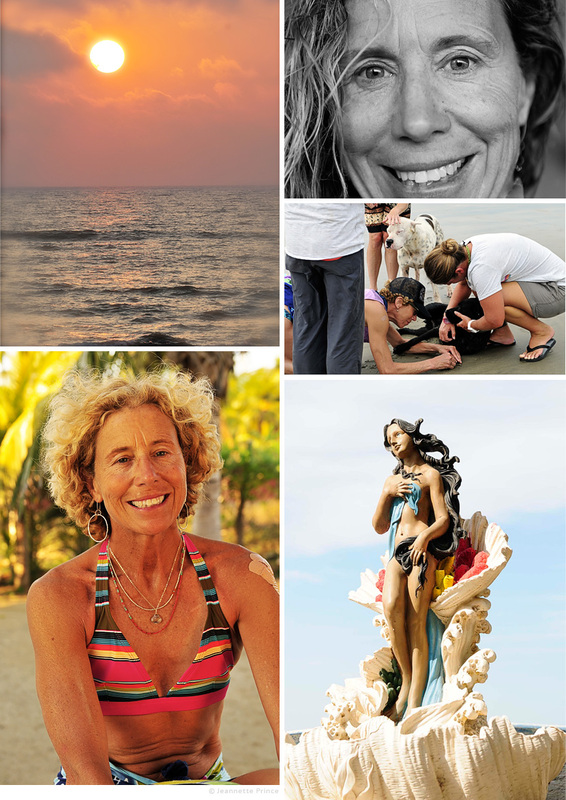 Surf Photo Friday - Role Models, Why They Still Matter I opened the app to discover today's offerings---selfies, bikini photos, over-exaggerated poses, pets, last night's party pics---lined up like a never ending train of visual dominoes, same, same, and more of the same. But here's something, a group photo on Matt Biolos' Instagram. 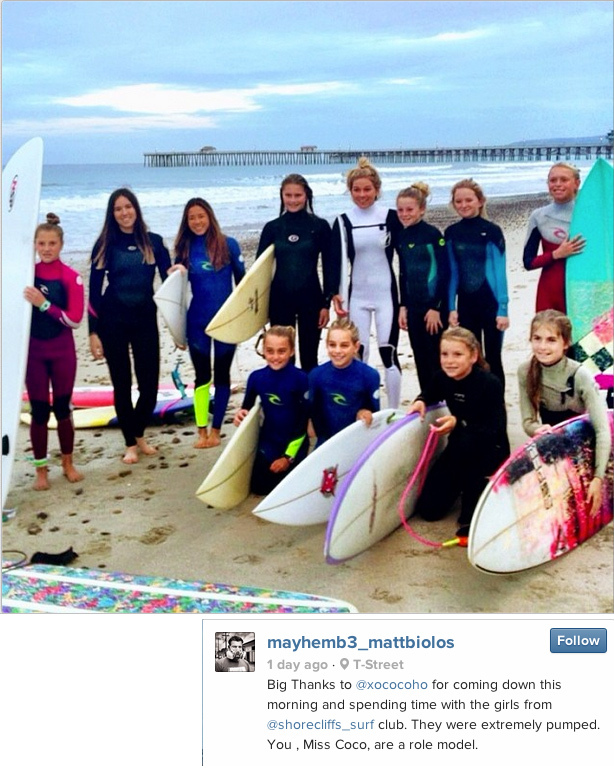 "Big Thanks to @xococoho for coming down this morning and spending time with the girls from @shorecliffs_surf club. They were extremely pumped. You, Miss Coco, are a role model." 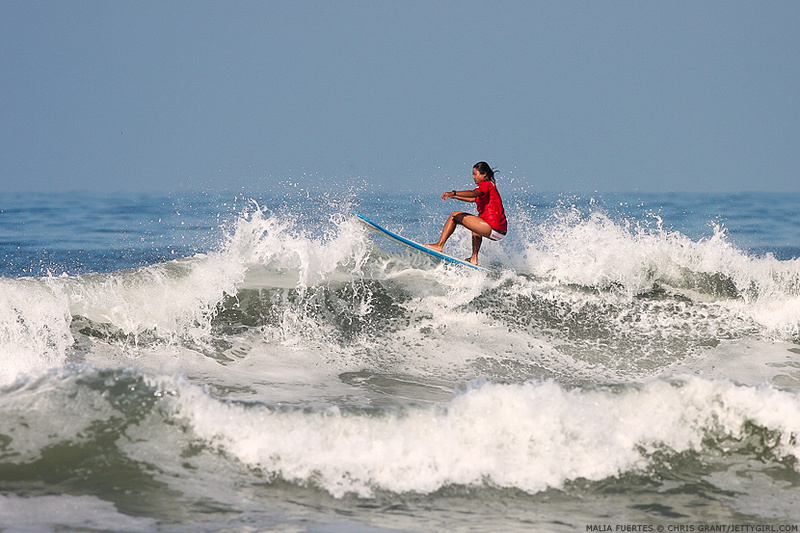 Seeing the bright faces and shiny smiles brought me back to being a young surfer myself. I was suddenly transported back to a day when I foolishly bumped rails with Shaun Tomson (while we were both sitting on our boards at Rincon). He could have called me an idiot, but he didn't. He smiled instead and I was an even bigger fan than before. 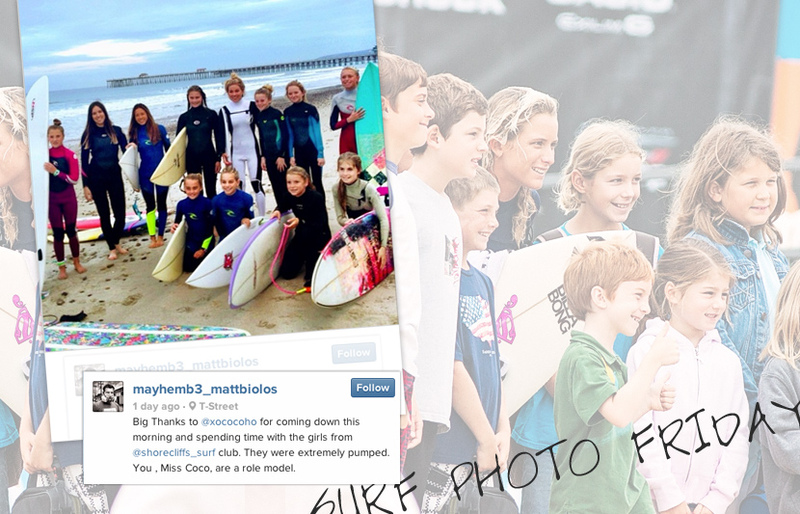 I'll never forget the day, just as these young surfers will always remember the morning Coco Ho visited their local break and surfed with them before school. Role models matter, more so today than ever before. Sexiest this, hottest that, Top 10 lists on every body part imaginable---I can't imagine what goes through the minds of young kids navigating a world where fame trumps everything else. False heroes with purchased social media followers and brain cell-killing reality shows are talked about ad nauseam while real heroes fly under the radar. How many followers does your teacher have? Your doctor? Your local librarian? How about your parents or grandparents? 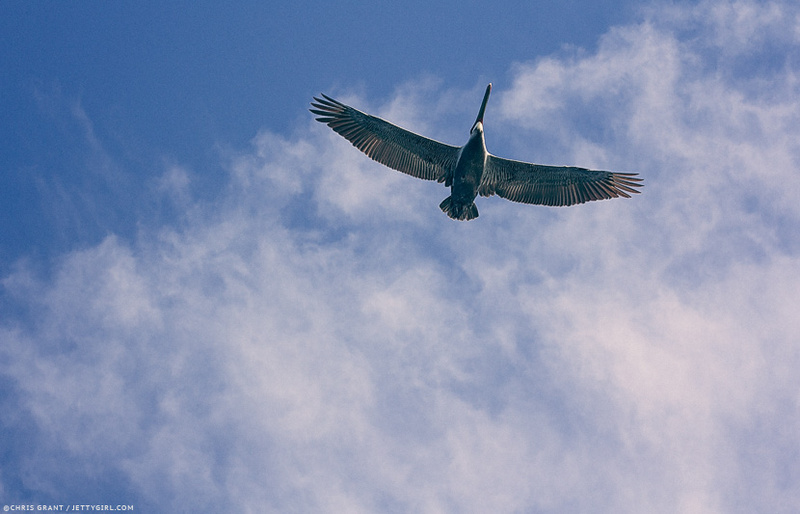 While an educated guess would put their Klout scores in the single digits, their real life impact is immeasurable. They instruct, heal, love, and support us. In short, they're role models and often the most important people in our lives. While the experiences of the surfing population are as varied as the sand on the beach, there's no single path that leads one toward becoming a person of influence. However, whether we're world champions or locals at the nearest beachbreak, it all starts with a warm smile, a word of encouragement, the sharing of a wave. With a good heart and generous spirit, we can all make a positive impact on those around us. Role models still matter---they always will. 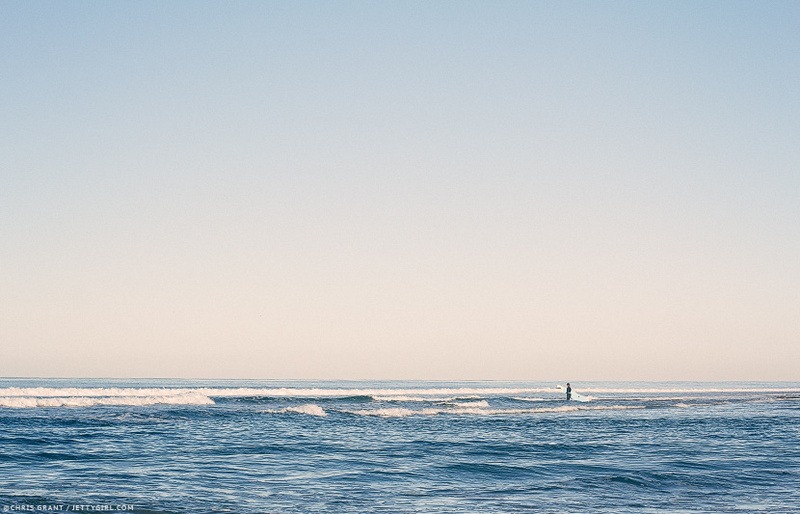 Thank you for dropping by for another installment of Surf Photo Friday. Have a great weekend everyone ...and as always, thank you for your support of Jettygirl. 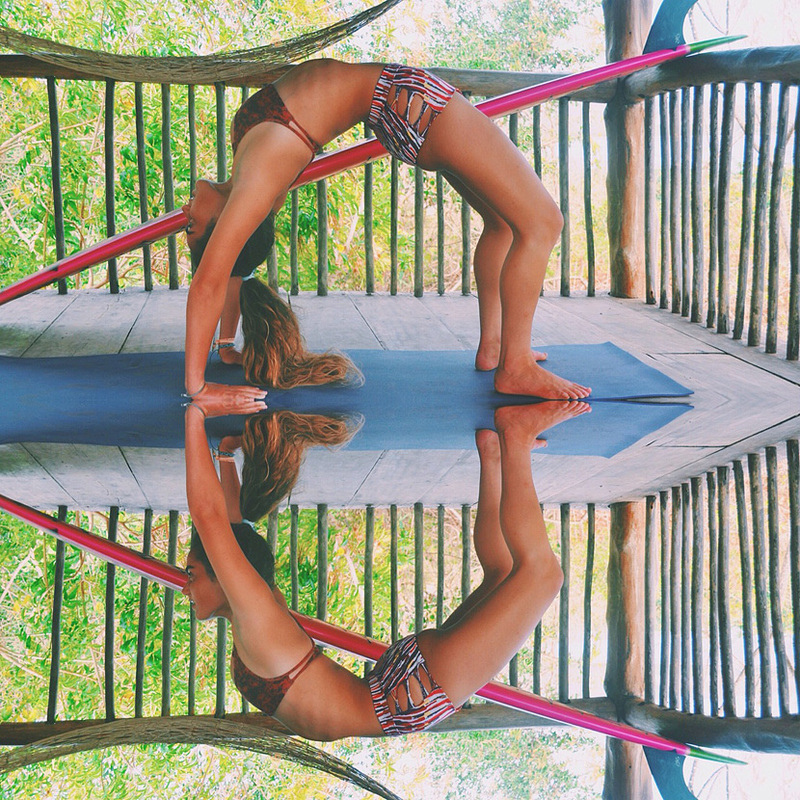 Also, thank you to Matt Biolos for allowing us to share his photo for this week's feature. Above: The photo says it all---100% pure stoke. When you're floating in the lineup, you see many things that don't get covered by magazines, aren't seen in photographs, and aren't really celebrated at all. 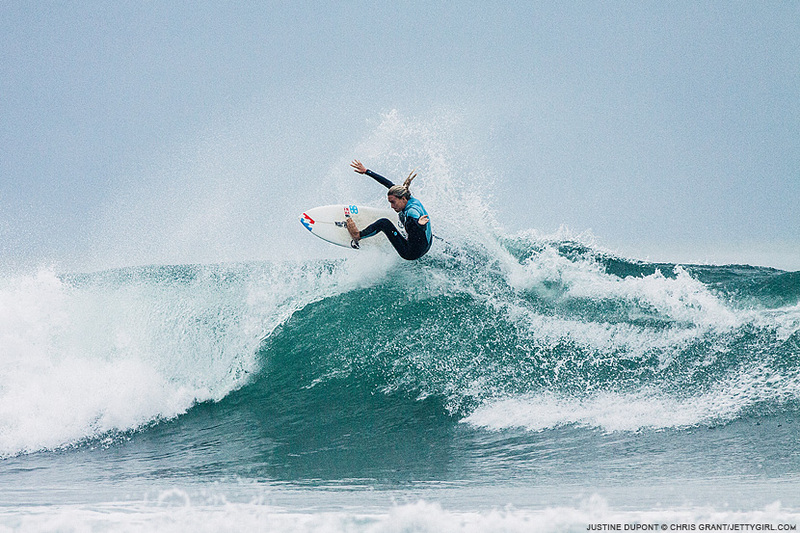 A while back one of those special swing waves hit the lineup at Lowers. Kelly Slater was in position for a wave he clearly had his eyes on. The only other person nearby was a tiny little kid who was tentatively angling for the same wave. The World Champ gave the kid a quick nod, the grom quickened his paddling speed and was soon dropping into a beautiful 100-yard right. 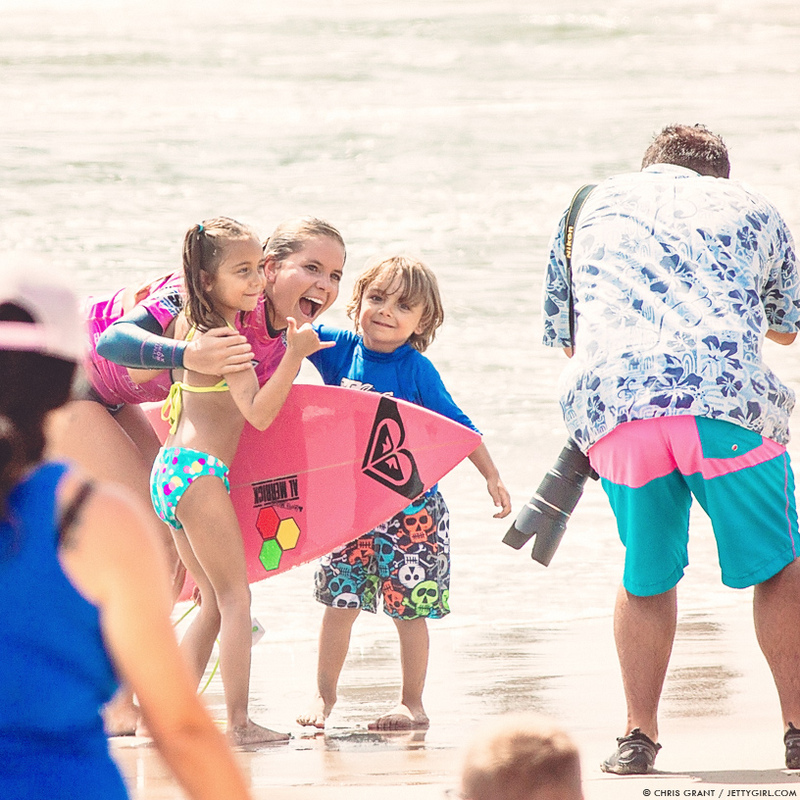 The moment won't be recorded in the halls of surf lore, but these small acts of kindness are what turn champions into legends. Above: In one of my favorite post-heat photos, Brasil's Bruna Schmitz shares a smile with a couple of young fans. 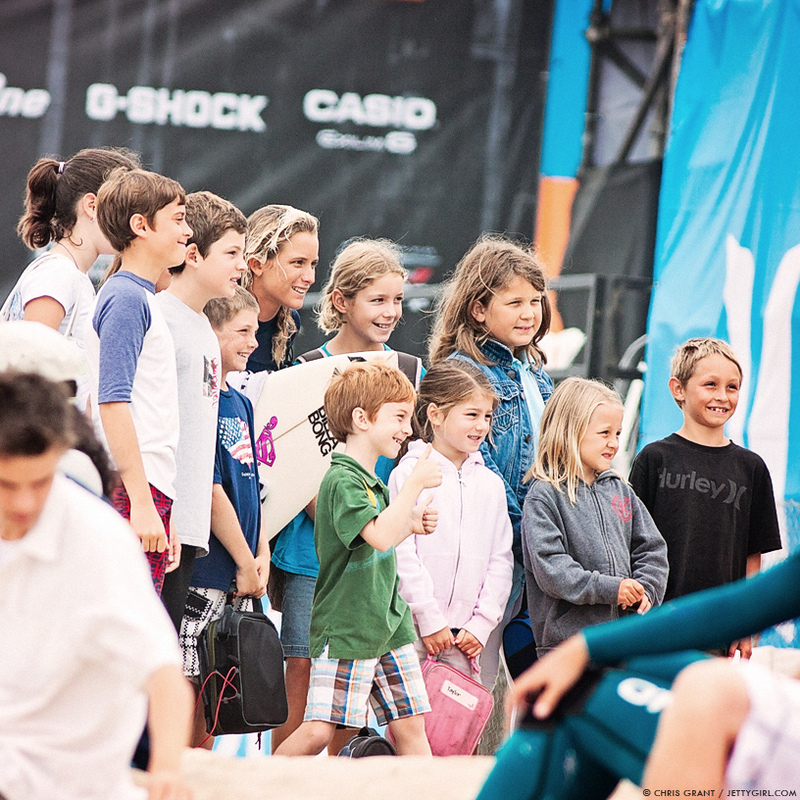 Above: Courtney Conlogue poses with a group of kids who will no doubt remember the moment for the rest of their lives. 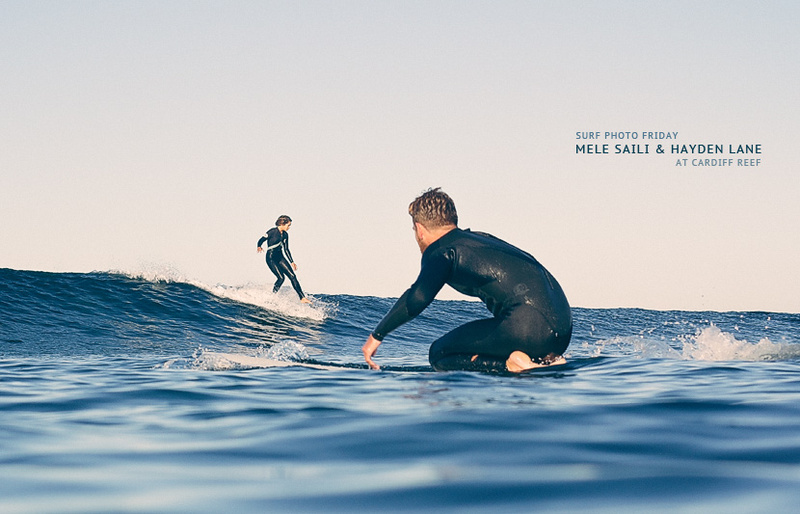 Surf Photo Friday - Mele Saili and Hayden Lane, Cardiff Reef Ever since they hit the market with their video lookbooks, we've been fans of SEEA's products and their riders. One of their "Seeababes" is Mele Saili and from the first time I saw her groovy, laid back vibe, I hoped we'd one day get the chance to shoot some surf photos. A few weeks before Christmas we finally had the opportunity to schedule a short morning session at Cardiff Reef. In the spirit of honesty, although these photos give the impression of an empty lineup, relaxing paddle-outs, and unencumbered rides, nothing could be further from the truth. Riderless SUP's and dozens of beginning surfers going left on rights made the lineup less than ideal for surf photos. Nevertheless, Mele made the most of every wave that snuck through the crowds and her flawless style on the nose made me forget about the mayhem throughout the rest of the break. Toward the end of the session, Mele and her friend, surfboard shaper Hayden Lane, shared a ride I won't soon forget with a double noseride across the inside reef. It was the perfect ending to a wonderful shoot. 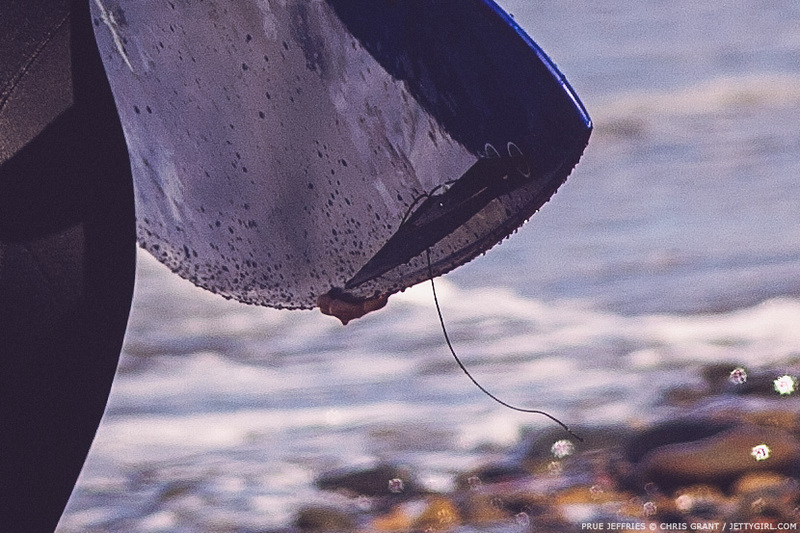 Thank you for dropping by for another installment of Surf Photo Friday. Have a great weekend everyone ...and as always, thank you for your support of Jettygirl. 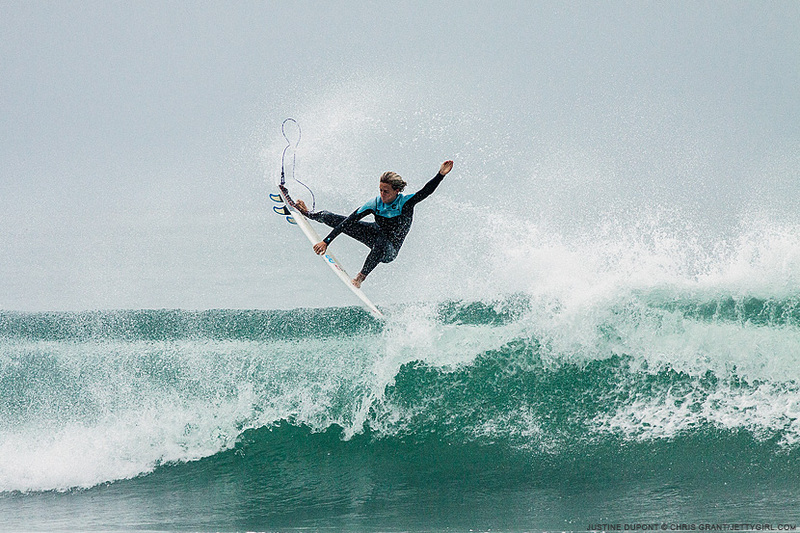 Zeufy Tuesdays, Part Two – Zeuf Hesson & Friends in Mexico. Photos by Jeannette Prince. Zeufy Tuesdays: Part Two in a Four-Part Series Each Tuesday Celebrating the Life of Zeuf Hesson Memories of Zeuf - by Jeannette Prince I think my first time surfing the Santa Cruz Longboard Union Contest was back in the late 80’s. There was a small group of us who surfed on Steve Walden’s longboards, and were given the opportunity to join the competition to surf against the clubs. 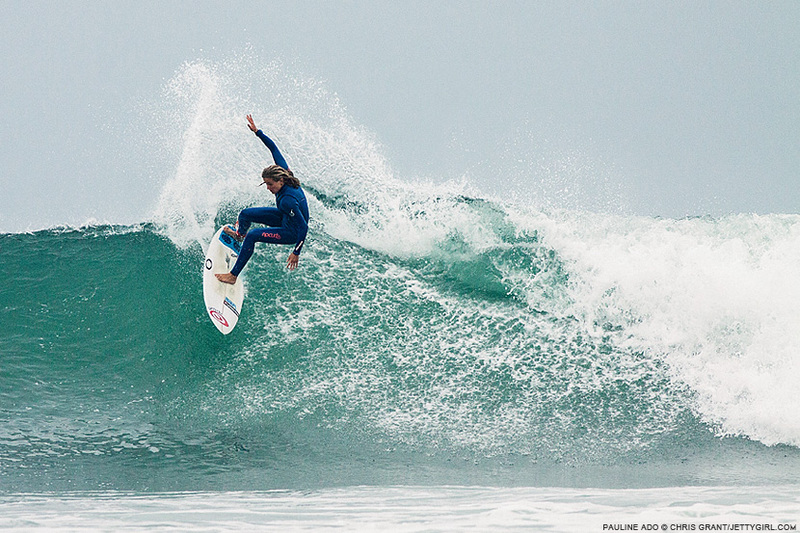 Joel Tudor was a part of our group… I think it was his first contest. It was a packed event and the surf was about head high or so. How electrifying to be around so many great surfers from the gathered clubs from California. It was a very fresh and exciting time for longboarding. While walking around the contest site you couldn’t help but notice all the different assortment of surfboards along the rails outlining the cliffs. Surfers were clustered everywhere while hanging out and rooting for their teams. 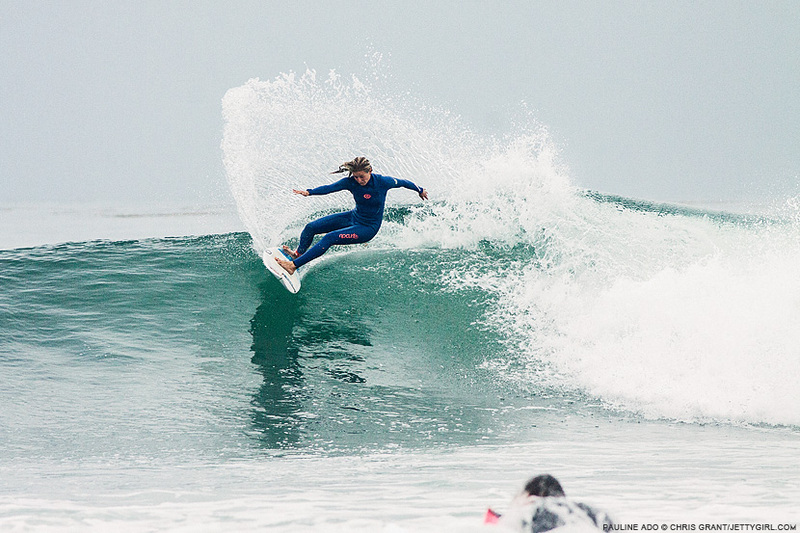 It was a wonderful melting pot of talent, surfboards, and perfect waves for a contest. There was one surfer who caught my eye, who really stood out in the crowd. She displayed an incredible head of long, tight, sun-bleached, curly ringlets that were hard to miss. I could hear someone address her as Zeuf. 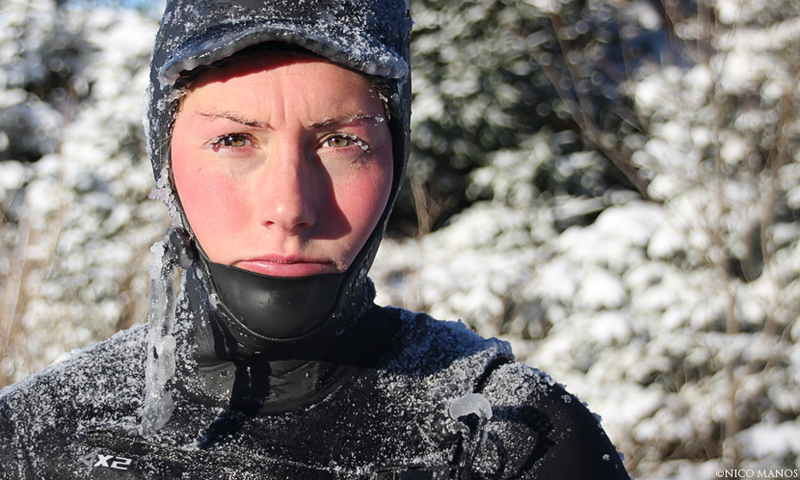 I found out later that she was a competitor in the event and I’m sure I surfed against her in a heat or two. I can’t remember… but I do remember seeing her and every year after that. I found myself looking for the local girls, like Jane McKenzie and Zeuf, to see who would show up for that year’s activities. They were gifted surfers and knew Steamer’s Lane so well. Zeuf always stood out… I was always curious about her, but never had the chance to really get to know her until twenty plus years later. 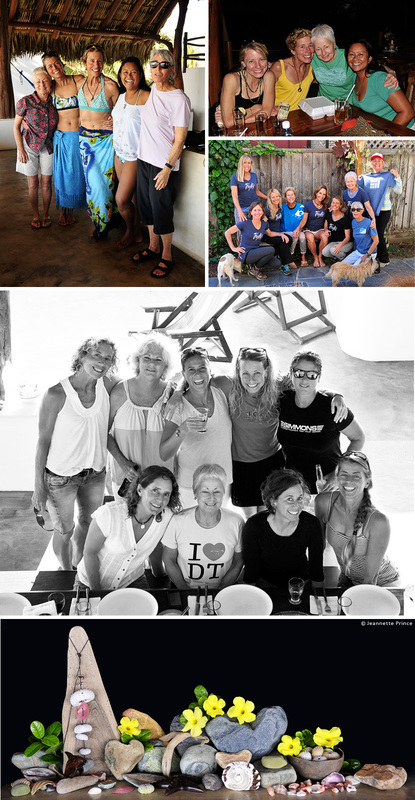 Linda Benson decided to organize an annual surf trip that brought a seasoned group of surf women together that was an absolute dream. Never have I experienced surfing with and spending time with such elegant and talented women before. Zeuf was one of them… So many years have gone by since the first time I noticed that perfectly wild, sun-bleached hair of hers… little did I know Zeuf would become an important friend in my life. Who was she? 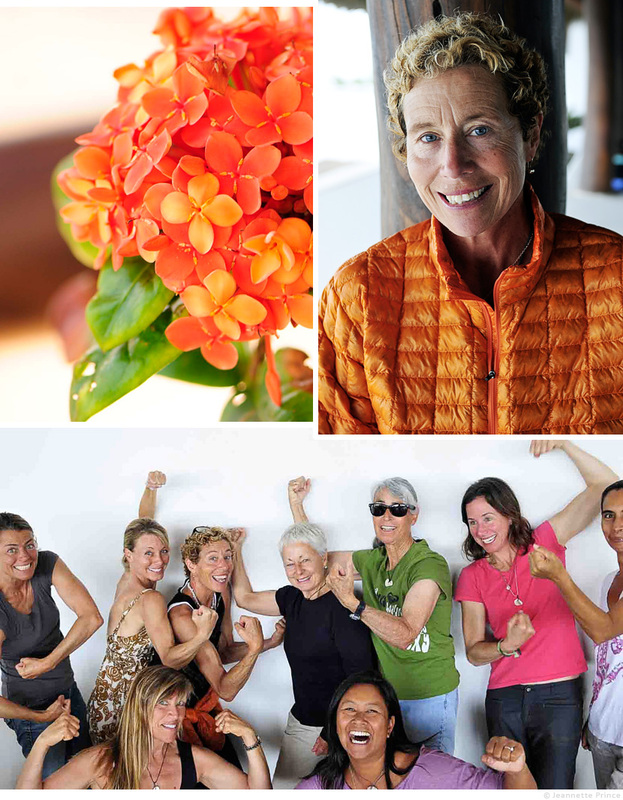 A rare talented celebration of life who held a big heart for all… and was a caregiver to those she loved. 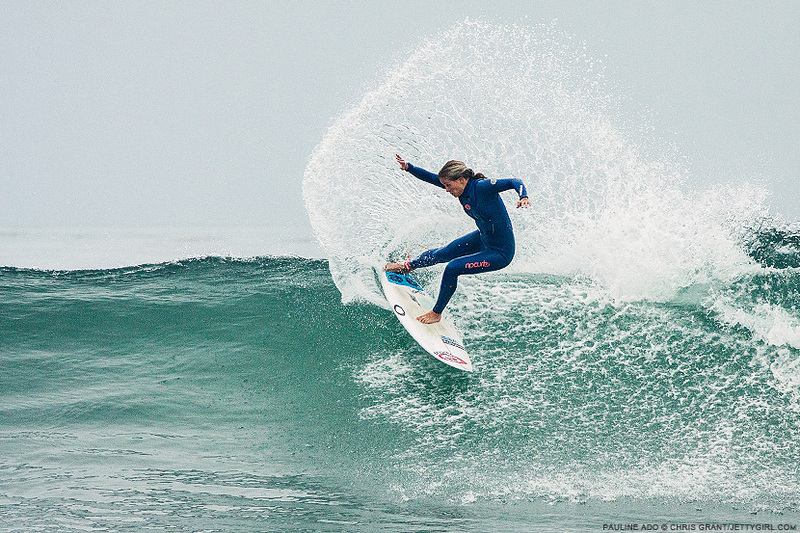 A leader and true representative of women’s surfing.  She is not gone… she is just away. She lives on in the lives of those she touched. Zeuf and Heather from Jeannette Prince on Vimeo. About the Photographer... 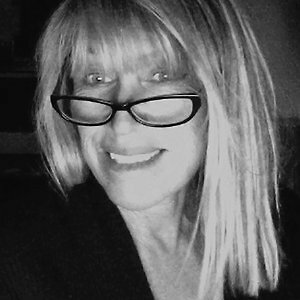 In addition to surfing and photography, Jeannette Prince also designs and creates greeting cards under her label, Cardiff Town Cards. 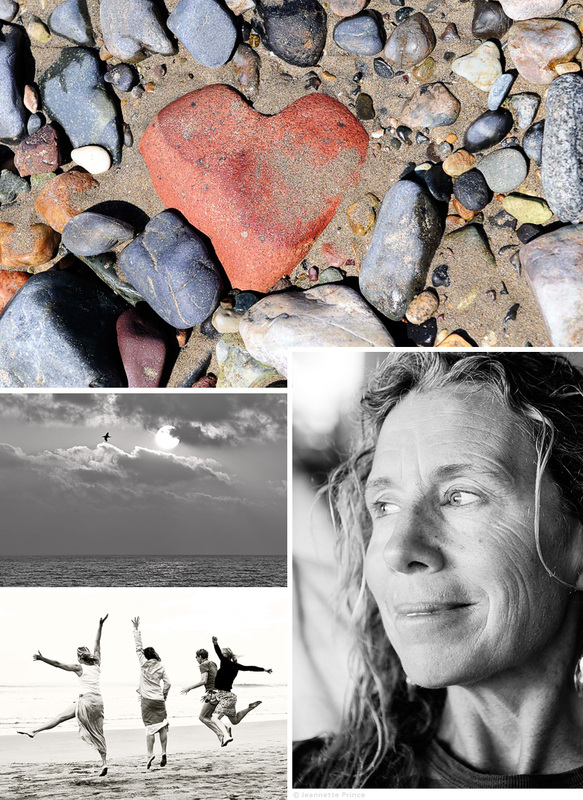 Printed on quality digital photo and archival fine art paper, each card features photographs and original artwork by Jeannette. For more information, please visit cardifftowncards.com. 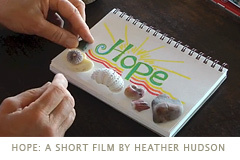 See more of Jeannette's artwork in Heather Hudson's films, "HOPE" and "HOPE MORE." * Like, tweet, post, comment or whatever. Waves are meant to be shared.